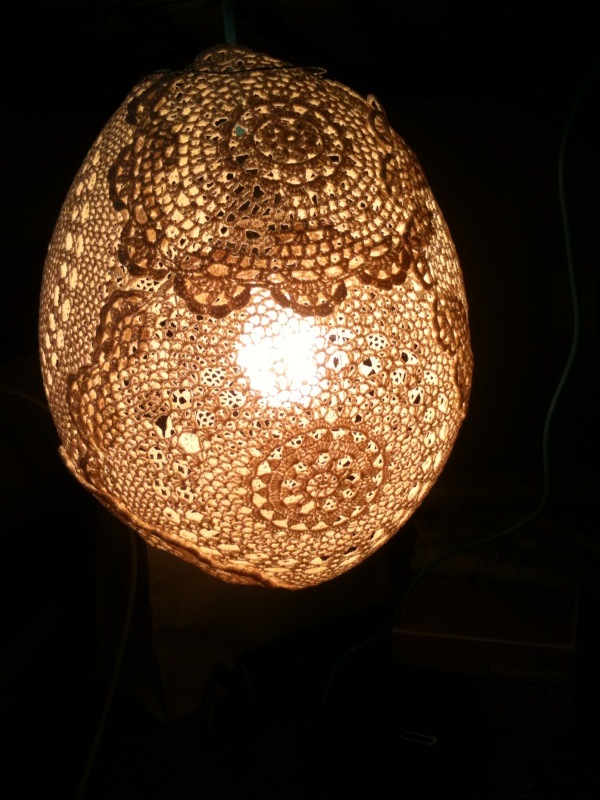 on to low quality pictures about my crafty life | kensfolk. I just love the feeling of finishing a project. It’s like the feeling of finishing a race or a long book. I just have a sense of well-being when I know I have put work and dedication into making something beautiful. This may be why I spent hours making my save-the-dates, to my mother’s confusion, instead of just buying them at the store and slapping an American flag stamp on it. 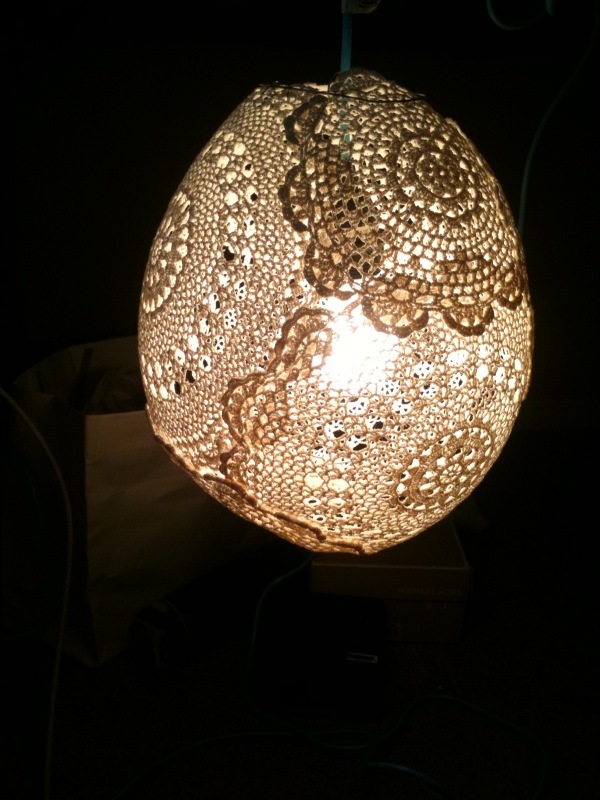 I’m still happy about the completion of my doily lamp. I took a few pictures, but they’re just Iphone quality.. deal with it for a second. My goal is to make a few more for the wedding. They’re precious in person. 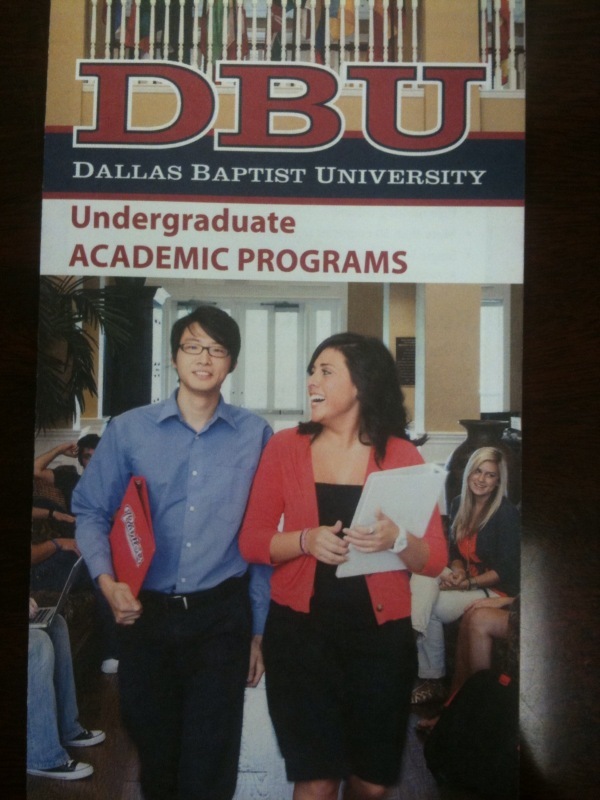 And there’s nothing quite as exciting as making it onto the front cover of your university’s hand outs, even if you’re only about pinky size.